Every tattooist has their own particular strengths and weaknesses. There’s nothing to be ashamed about sticking to what you know how to do and honing the skills that help you do it. It’s only when an artist tries to overstep their own abilities that they venture into murky creative waters and end up producing work that falls short of quality on numerous levels. If you take a look through Calistro’s portfolio, you will come across a great deal of tattoos, from which (in my humble opinion) the best ones are of women. There’s a classical sort of beauty that Calistro gives to her work, creating almond faced characters that seem to be filled with equal parts mystery and attitude, all of which translates perfectly into vibrant looking tattoos. In addition to being a tattooist, Calistro also paints and sketches. She also makes greeting cards that are available at her Etsy site. 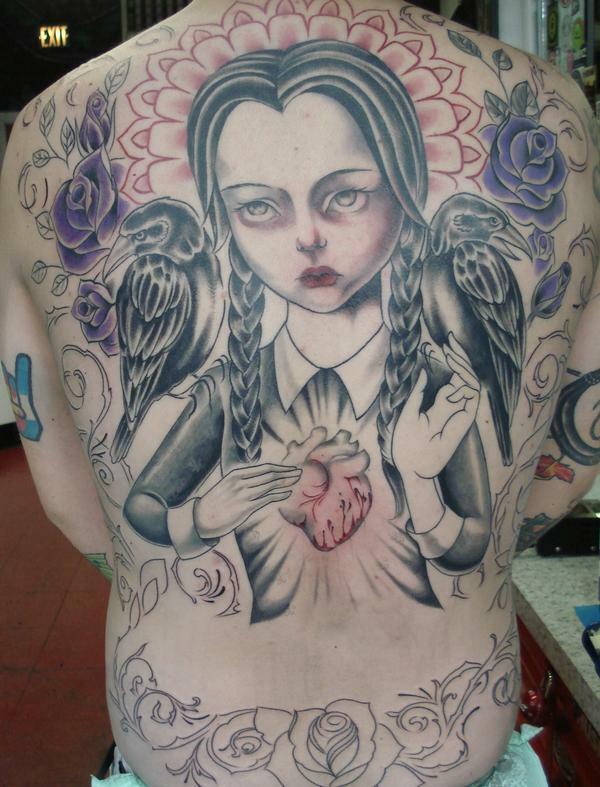 She can be found in Denver, Colorado, tattooing at Kaze Gallery.